to be directly connected to the control unit enabling an easy installation. Price TOO LOW TO LIST! Please message us for SUPER LOW PRICE!!! Make sure to check out even more EVO parts on Lancershop.com! Thanks for reaching out to us! Make sure to check your inbox! Please make sure to check your inbox guys! Thanks for the messages guys, we just sent the replies! MAXIMIZE PERFORMANCE with HKS SSQ Version 4 Universal BOV - SHIPS IMMEDIATELY!!! EVO 8/9 Invidia 3" Downpipe! SHIPS IMMEDIATELY! Make your EVO 8 look even SEXIER with this Carbon Fiber Lip - SHIPS IMMEDIATELY! Chargespeed Evo X Parts @ Vivid Racing, Ships Immediately!!!!! 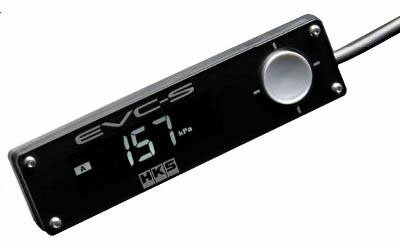 Quick Reply: HKS EVC-S Boost Controller - SHIPS IMMEDIATELY!